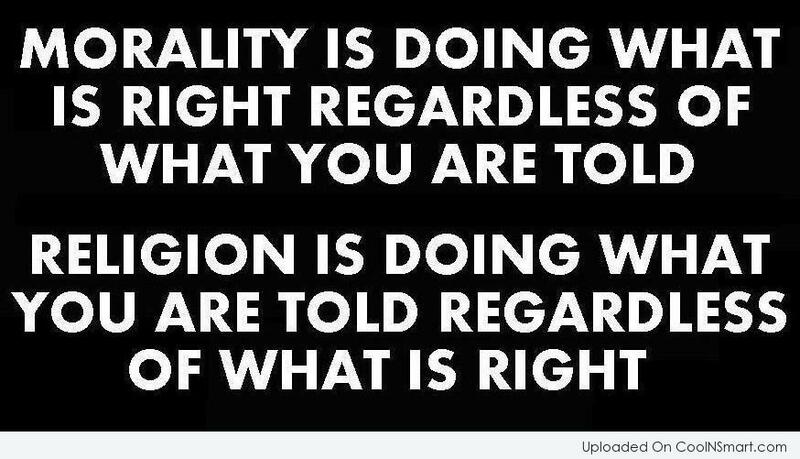 I find myself in a conundrum. I worry about people I see online as well as friends and family. I see their food choices and think, you're killing yourself. 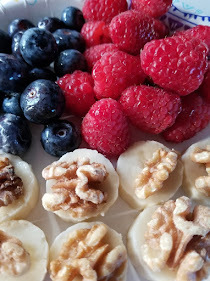 I have a cousin who has a morbidly obese spouse and children who are obese, yet I see shares of food that are just killing them. Literally. So what do you do? In this day and age, we cannot tell a fat person they are hurting themselves without it being called body shaming. I'm not sure what the right answer is. On one hand I want to help them and on the other, I don't want to hurt their feelings or be called a bully. 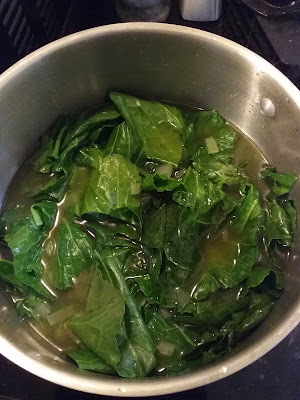 So instead, I'll just share one of my favorite recipes for Collards with you. 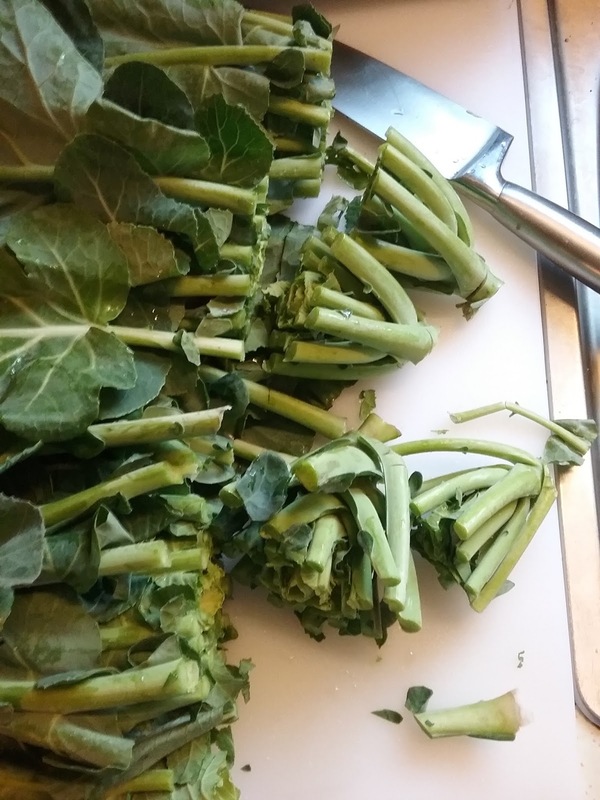 I get my collards in bunches on the stalks. 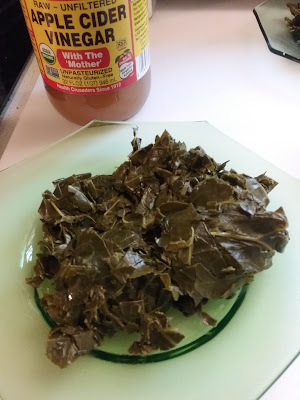 Collards hold sand like you would not believe so you're going to want to wash them really well. Start by cutting the stalks off then ends and discard. 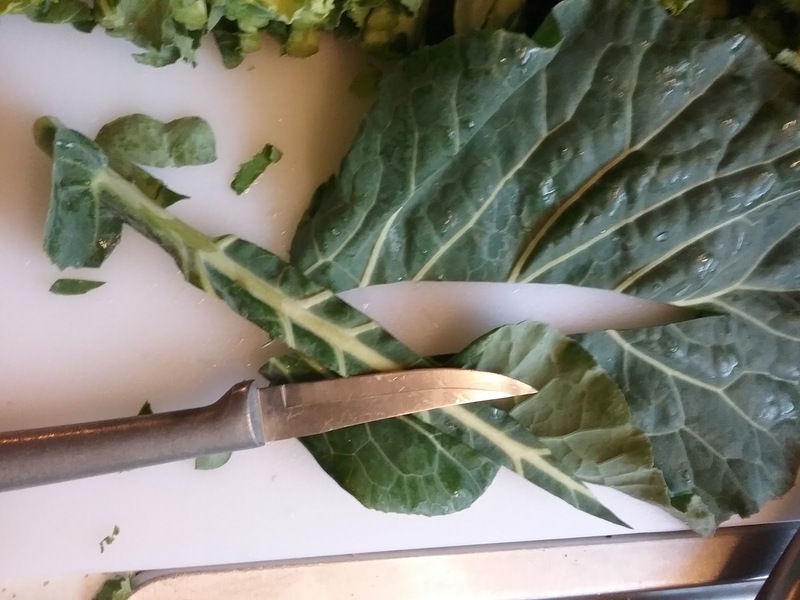 Use a paring knife to remove the stems from the center of the leaf. 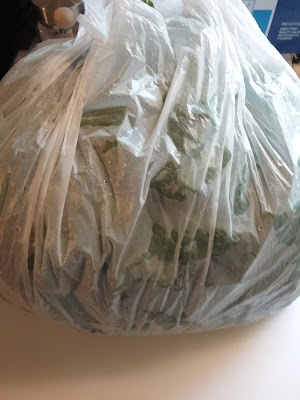 I remove them like so. 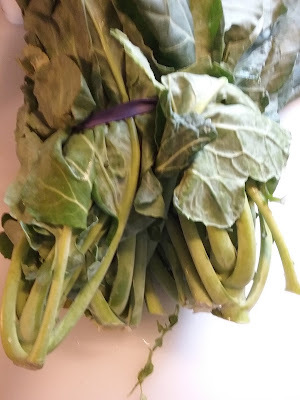 Next put them in a sink full of water and wash them really well. The sand should sink to the bottom. 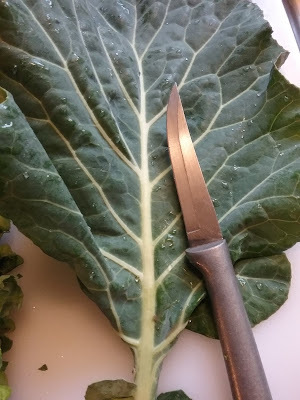 Collards are always better after they have been exposed to at least one frost. To ensure that I can cut the bitterness from them I put them in a bag and poss them in the freezer for a couple of hours. 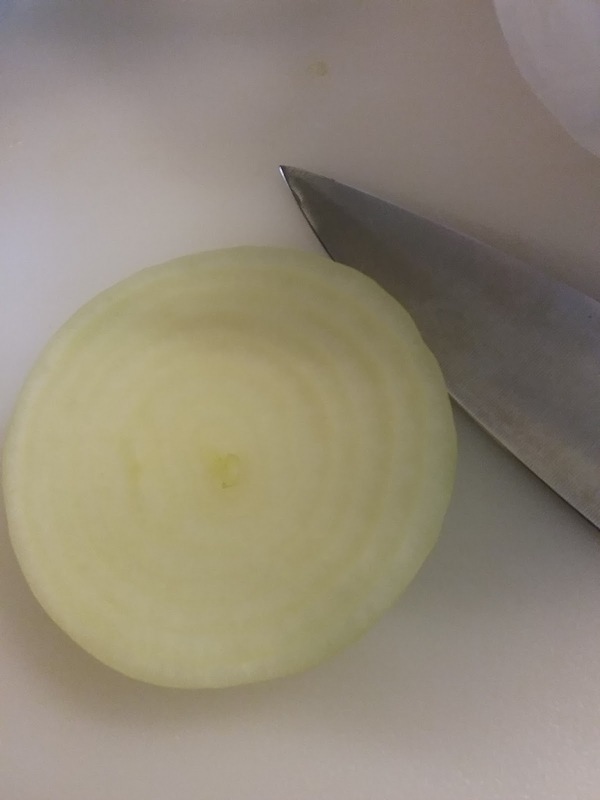 After the "frost" I take them and put them in a pot with the onion that I have diced and allowed to cook a bit with a little vegan butter. 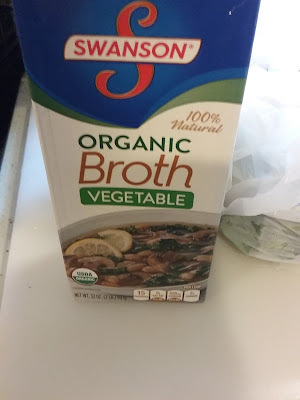 I have tried a few different types of veggie broth, my two favorites are Emeril's (which I don't think is on the market any more) and Swanson. 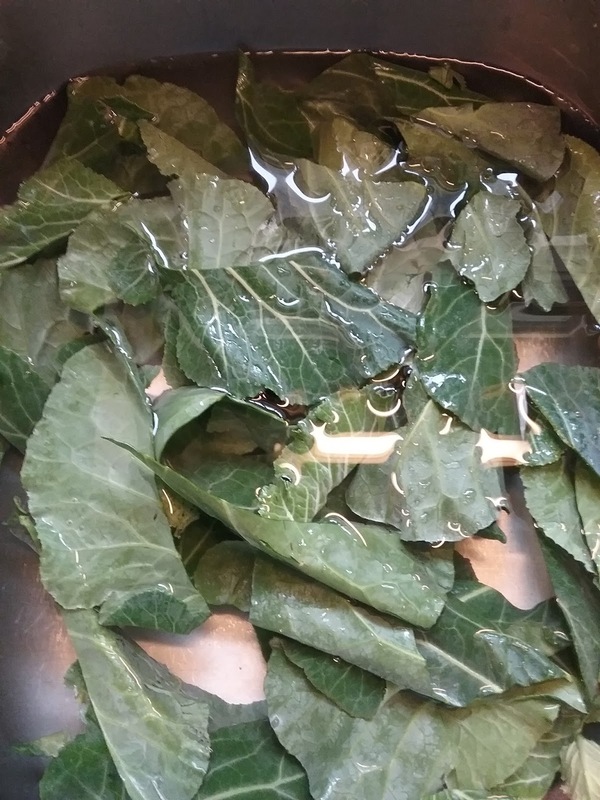 Cook the collards on medium/low heat until they are tender. You can test them by taking a bit out to taste them. I then drain the collards a lot. Mash the moisture out of them and then serve with a splash of apple cider vinegar. I hope you find this recipe helpful. They were really yummy on this icy cold day we had today. 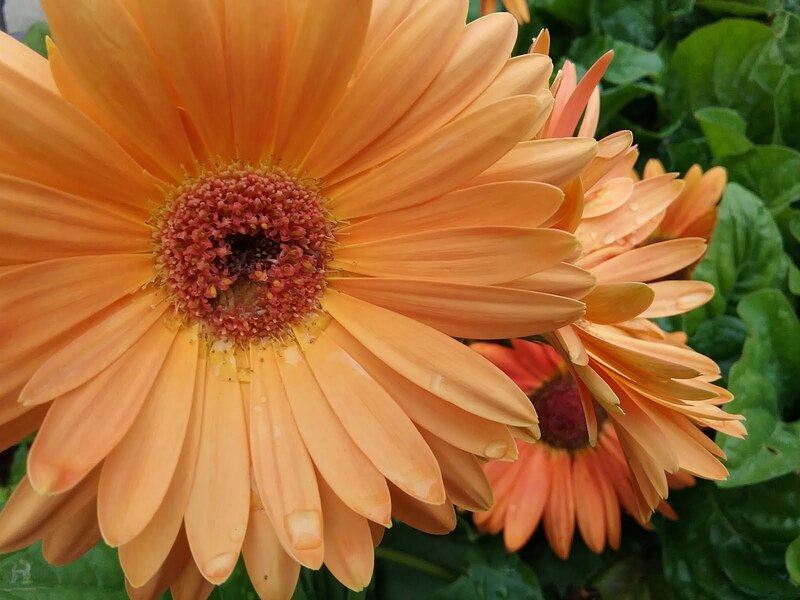 I took a few photos.